To ensure no one is omitted from the system, all residents and businesses can sign up by clicking here. The Emergency Notification system is a geographical based notification system, which means street addresses are needed to select which phone numbers will receive emergency and community notification calls in any given situation. The system works for cell phones too as long as they are registered to your home or business address within Crook County. People who have recently moved but kept the same listed or unlisted phone number also need to change their address in the database. When you register you will be able to select the types of notifications you want to receive. Remember that we may not put out notifications for every type of situation all the time. But if a notification of a particular type is made that you have selected you will receive it. 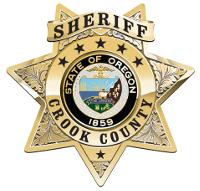 You can also sign up to receive notifications for another location that you may be concerned about within Crook County (such as your employer location, child’s school, parent’s house, etc. ).